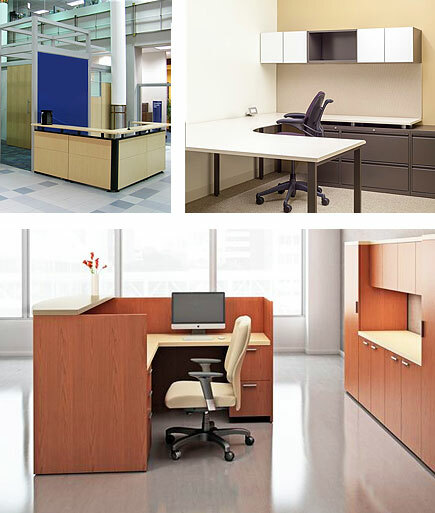 When you are searching for high quality, stylish office furniture for your state and local government offices, Right Price Companies makes it easy. For many years, we have focused on the special concerns of federal government facilities. We work with venders that are on contract with the GSA and offer award winning products, and experienced personnel. Right Price Companies furniture design provides the expertise in understanding your local requirements and business needs – from design, planning and management, to installation. Our goal is to achieve complete customer satisfaction. We use our extensive knowledge to deliver efficient, ergonomic government furniture that enhances any environment and fits any budget. Our furniture portfolio includes government office furniture such as: movable walls, desking systems, conference and training tables, task chairs, healthcare furniture, lounge seating, multiple seating, filing cabinets and dormitory and quarters furniture. Whether you’re furnishing offices for an administration, a Veterans’ Administration hospital or training facilities for a military branch, our government furniture portfolio will address your varied needs. Sustainability plays a key role in the design of our government furniture. Most KI products are SCS Gold Certified. And this focus on sustainability does not impact the durability or comfort of KI furniture solutions. Our furniture is meant to withstand many years of rigorous use. Right Price Companies works directly with our vendors that are listed as participants on the GSA contract.